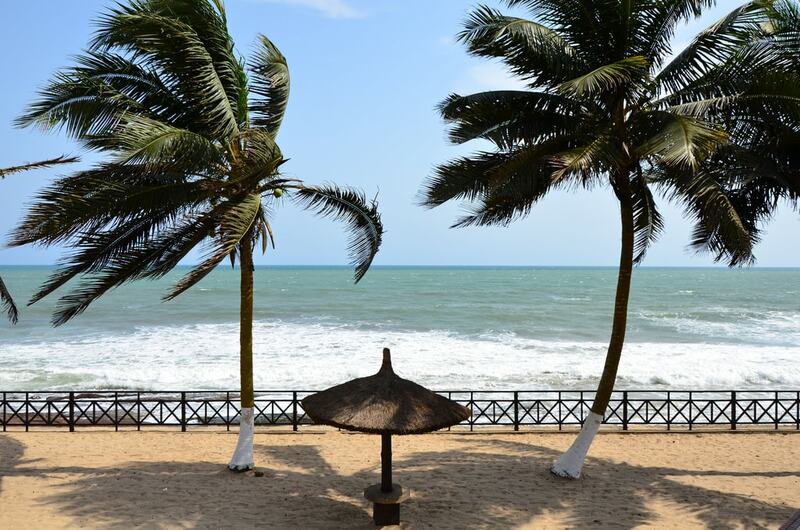 Beach resorts are among the most popular getaways in Ghana and, with over 500 kilometres (310 miles) of coastline, our beaches are wonderfully varied. From low-key eco resorts to high-end, paradisaical five-star resorts, we break down the ones that stand out. Located on a beautiful bay surrounded by 24 acres (10 hectares) of jungle and forest, Lou Moon Lodge is the stuff of dreams. The resort has only eleven rooms in the main building and a smattering of bungalows perched on the tip of the private island, emphasising the lost island atmosphere and making it the perfect romantic getaway. Featuring a fantastic spa offering Balinese massages and 500 metres (1640 feet) of hammock-lined private beach, Blue Diamond Resort is a stunning getaway. The resort is located near the sleepy fishing village of Apam, which boasts a colonial castle as well as a church whose views you can take in from the beach. A magnificent eco resort located in Dzita, this out-of-the-way home lodge boasts a lovely lagoon and has strong community ties to the area, making it a non-profit lodge that uses its funds to improve healthcare, sanitation and education for local communities. A perfect place to relax with friends, choose from one of their suites or double rooms, take part in community activities and watch the sun set over the bay. 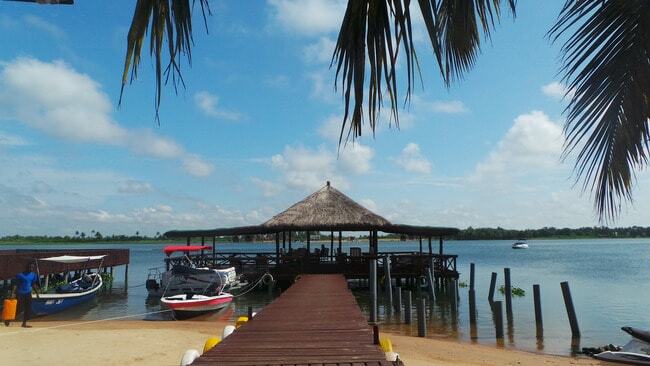 The gold standard in Ghanaian eco resorts is located on Ghana’s southernmost tip and is always popular with families, as well as backpackers and Accra residents. 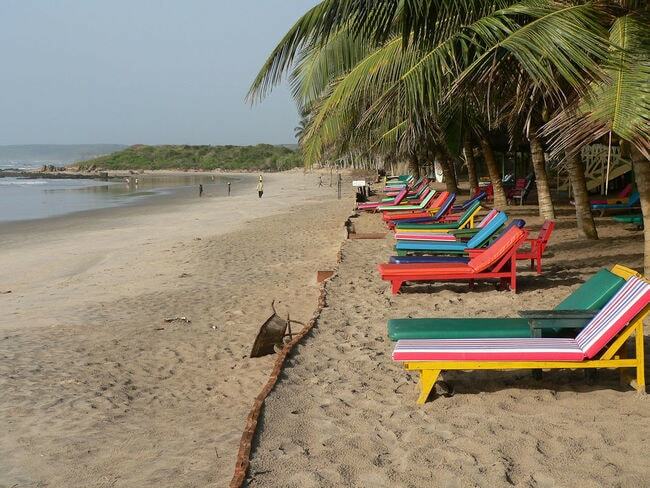 This hidden-away spot boasts a fantastic surf break, turtle sanctuary, and a gorgeous beach bar with the finest selection of homemade and multi-flavoured akepeteshie in Ghana. On a clear night the stars in the sky resemble a planetarium, thanks to the lack of light pollution. Set in a nature-filled garden overlooking a pristine, raked beach is White Sands, a beach resort perfect for those who like the best of things. Features include a club house, pool, highly rated restaurant, tennis court and even a helipad, all located between the ocean and the bird sanctuary of Kako Lagoon. 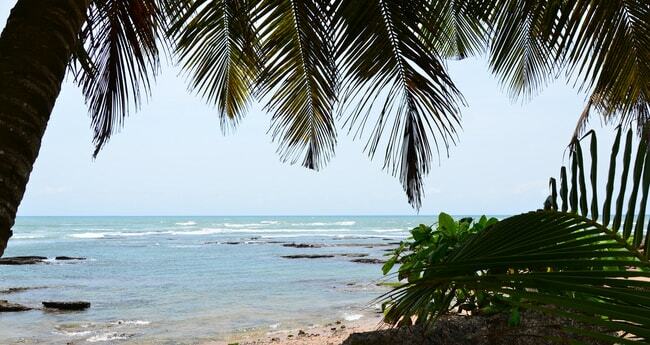 The beach resort of choice for those wanting to explore the nearby Elmina Castle, Coconut Grove has been providing excellent service in a quality environment for its distinguished guests, including heads of state, European royals and movie stars. Set on a gorgeous stretch of beach and boasting amenities – such as a mini animal sanctuary and an 18-hole golf course – it’s the perfect place to relax after a day of historical sightseeing. With a fantastic location set between a gorgeous stretch of beach and the Ankobra River, there is no end of fun to be had at this highly rated and award-winning resort, where you can have fun on boogie and surf boards, play badminton, volleyball, croquet and football, hire bikes and even try your hand at archery. If you are in for a quieter experience, you can explore their plethora of board games, read a book from the library, or take a local tour to one of the great excursions nearby: the slave fortress at Axim, Nzulezu stilt village, or a boat trip up the river – to name but a small selection of what is on offer. A fun and funky spot in Cape Coast known for its chill vibes and fondness of parties, Oasis is the spot of choice for laid-back travellers, offering circular huts, beachside accommodation, very friendly atmosphere and a performance stage where you will witness drumming, dancing and acrobatic displays. The kind of resort where everyone mingles and shares travel stories, it’s the perfect place for solo travellers. 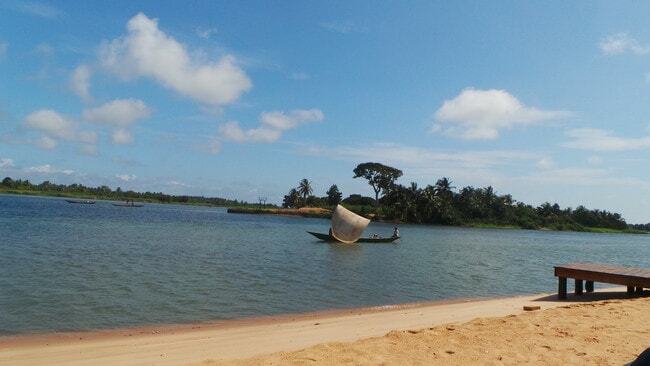 Only a half-hour drive from the centre of Accra brings you to Bojo Beach, a picturesque beach set on a strip of perfect, white sand and separated from the mainland by a lagoon. It provides a nice antithesis to the crowded nature of the main Kokrobite strip, boasting elegant sun loungers, landscaped grounds and canoe trips in their signature Bojo cruisers. 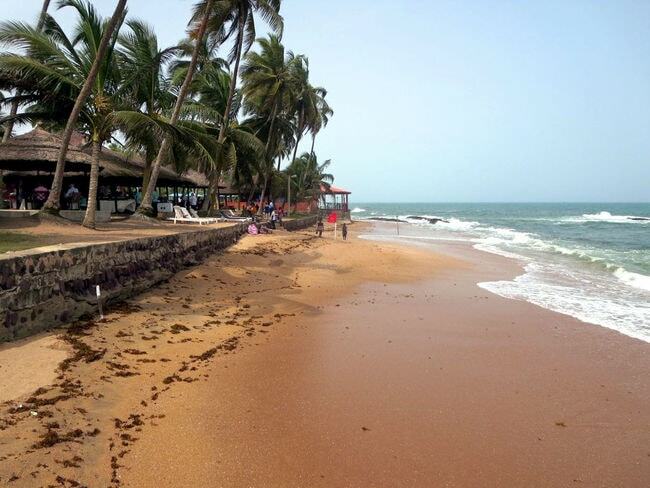 A lovely, full-service resort on one of Accra’s most popular beaches. 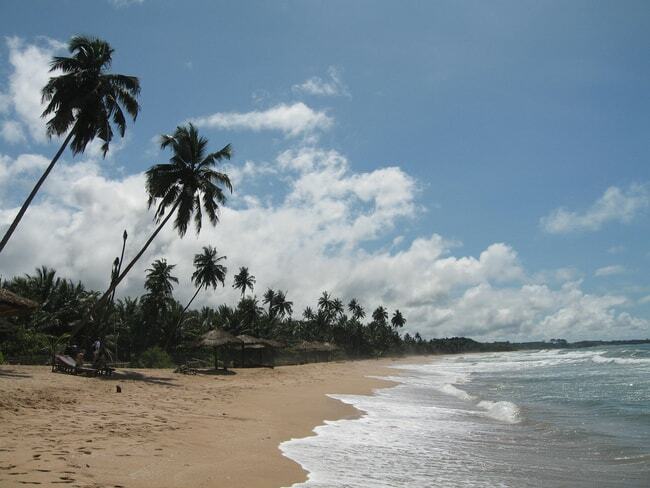 Beachfront chalets are on offer within a lovely fishing town that is home to the annual Asa Baako festival, as well as being one of the most popular and gentle surf beaches in the country. Trek to nearby Butre and hire surfboards, or book a lesson with Ahanta Waves, or relax at the resort with a drink and a good book. Located in the Ada Foah area, this vibrant and popular spot benefits from both the lake area as well as the estuary leading into the sea. Water sports are on offer, as well as a lively bar, all in a compound boasting airy, wooden structures and charming sculptures. 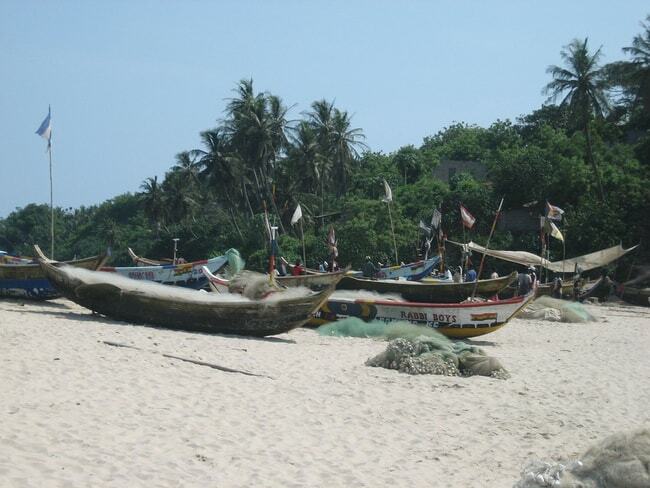 The proximity of Ada to Accra makes it a popular weekend getaway.